Former Republic of Ireland manager Martin O'Neill has agreed a deal to become the new Nottingham Forest boss, according to Sky sources. Negotiations are at an advanced stage, with final details expected to be completed in the next 24 hours. Those negotiations include the question of O'Neill's backroom staff - and whether O'Neill's former assistant with the Republic of Ireland, Roy Keane, will be joining him at the City Ground. O'Neill represented with Forest with distinction in his playing days, helping the club to win a Division One title and two European Cups during their glory years under manager Brian Clough. The 66-year-old has since gone on to success as a manager himself, guiding Leicester City to a pair of League Cups, before winning a string of trophies at Celtic, who he also took to the UEFA Cup final. Highlights of the Sky Bet Championship game between Reading and Nottingham Forest. He has been out of club management since leaving Sunderland in 2013, having subsequently taken charge of the Republic of Ireland. The Irish went on to reach the second round of Euro 2016 but failed to qualify for the 2018 World Cup - and O'Neill left by mutual agreement last November. He is now set to take charge of Nottingham Forest, who parted company with Aitor Karanka last week. 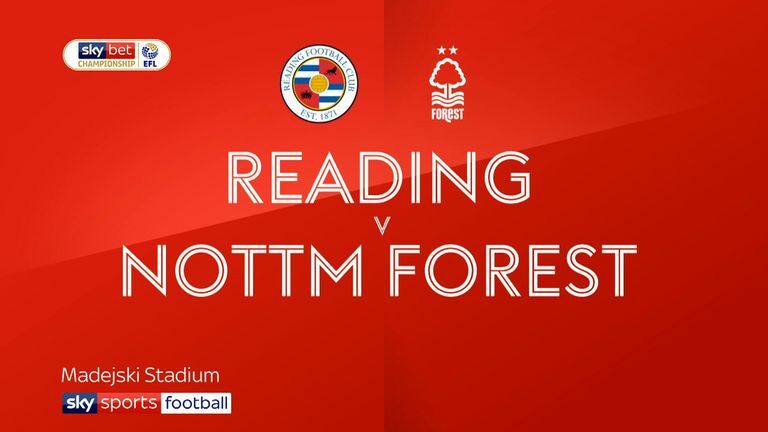 Forest were reduced to nine men on Saturday as they lost 2-0 at Reading, and are currently ninth in the table, four points outside the play-off spots.